It is Cec here and today it is my turn to bring you an inspirational post. I thought I might make a collage this time using the mood board Ruth created for the current challenge as my jumping off point. You can see the challenge and mood board here. 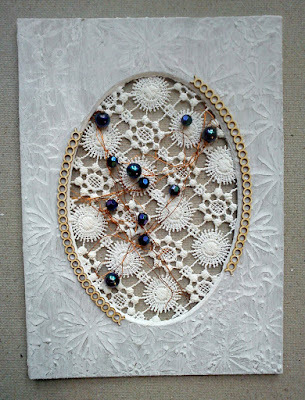 When I saw the lace in the mood board, I immediately decided that my collage would have a sewing theme. 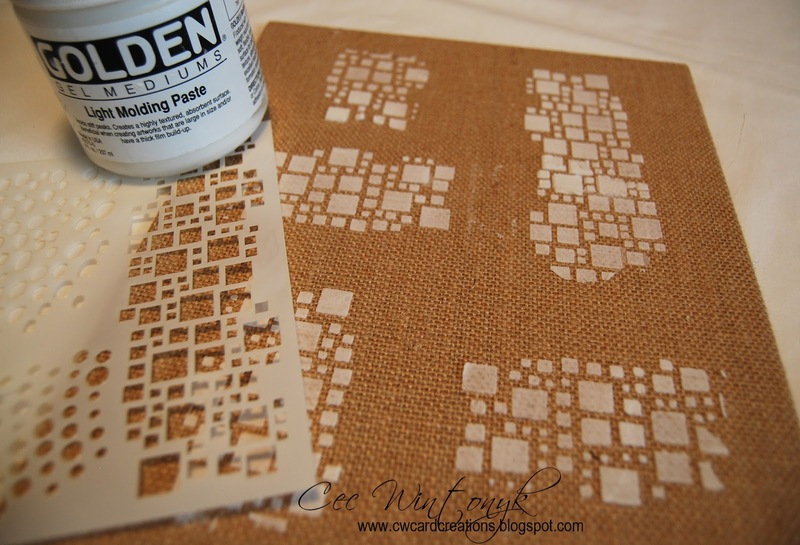 I started by taking a burlap canvas from Recollections and added some texture using Light Molding Paste (Golden) through a stencil called Tasty Textures (IndigoBlu). 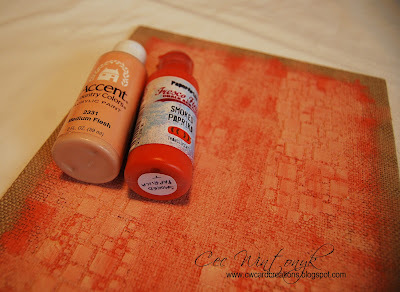 Once the texture was dry I used a dry brush to paint Smoked Paprika Fresco Finish paint (Paper Artsy) on the canvas leaving a border unfinished. Then I dry brushed some Medium Flesh Acrylic Paint (Accent) on randomly. 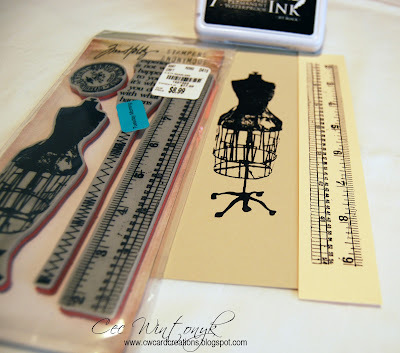 Next I used Jet Black Archival Ink (Ranger) to stamp the vintage dress form and the tape measure from a set called Seamless Experience (Tim Holtz) on some scrap card stock. 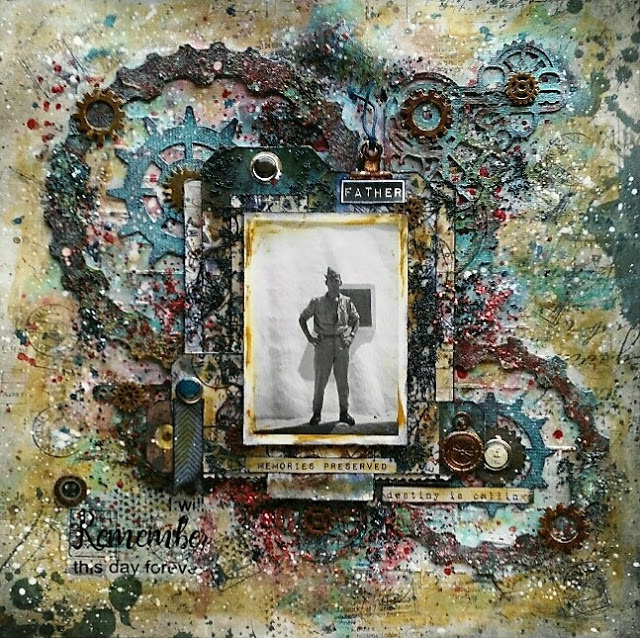 Both images were fussy cut and the edges were inked with Vintage Photo Distress Ink (Tim Holtz for Ranger). I added all the embellishments using Super Thick Slap it On (IndigoBlu), which is a gel medium and the heavier gel mediums make a great adhesive for using with heavy elements like buttons, metal, etc. 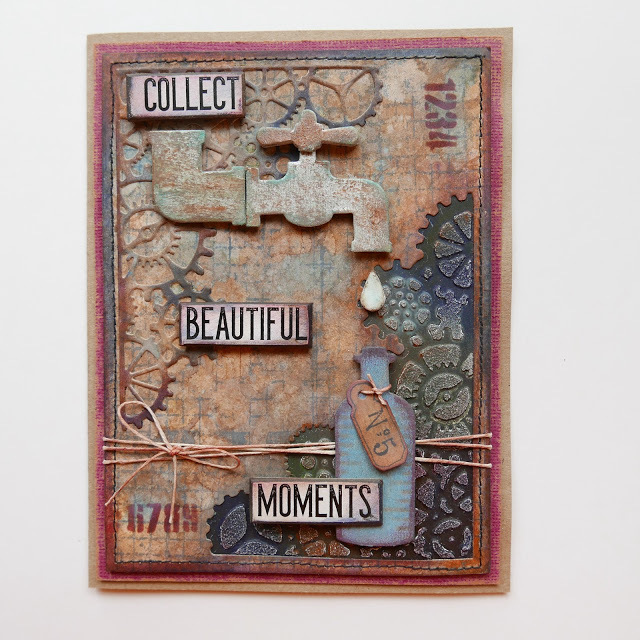 I hope my simple creation inspires you to choose a theme, collect some bits and pieces and make a collage. 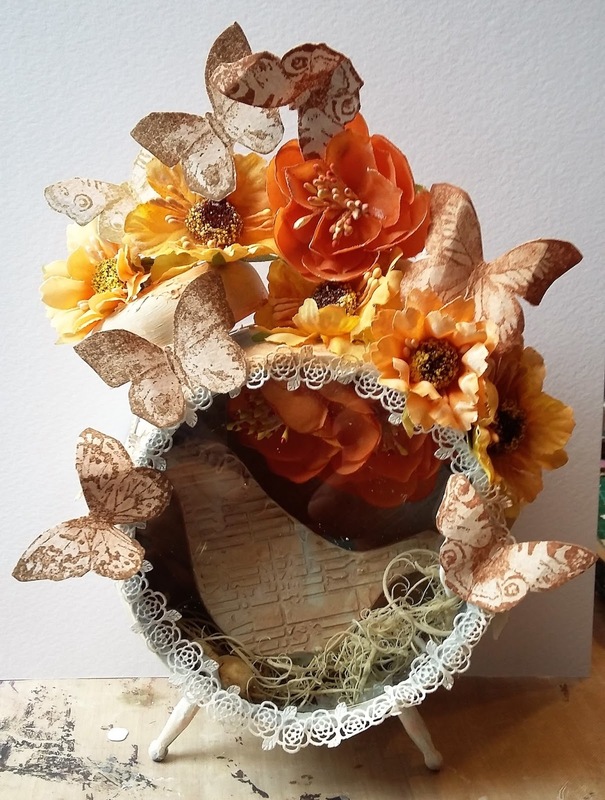 They are great decor items and can be tailored (no pun intended) for whatever hobby or passion you or the recipient is involved in. Hello and welcome ! First of all a huge apologies as I'm late, lost track of everything and then technology let me down ! 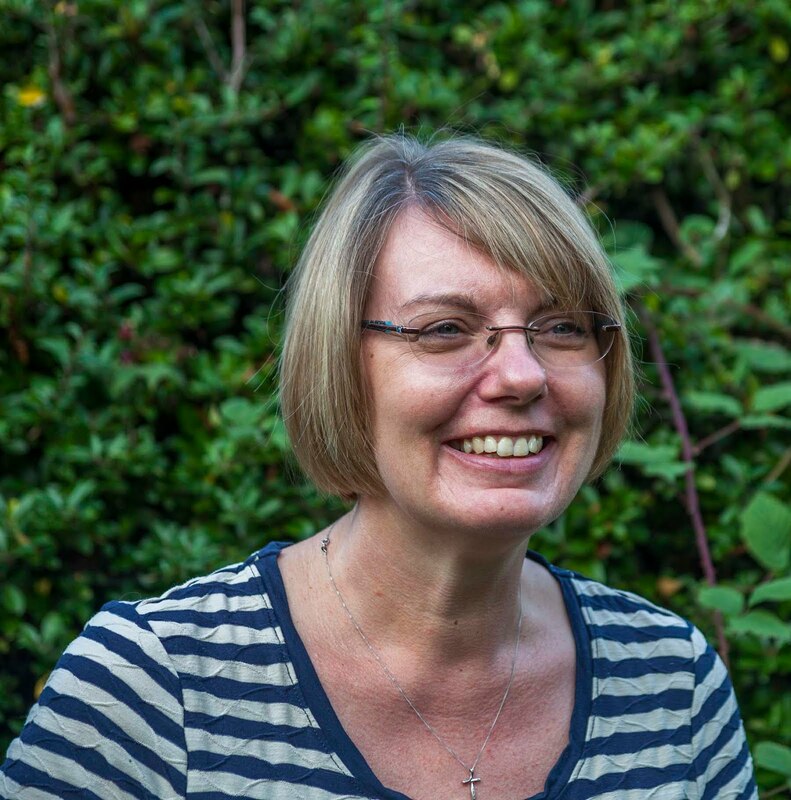 So, I won't waffle on but move straight on to hear from Lula, the winner of the Fabric and Fibres challenge. My name is Lucyna Marynowska, aka Lula. I come from the north of Poland. 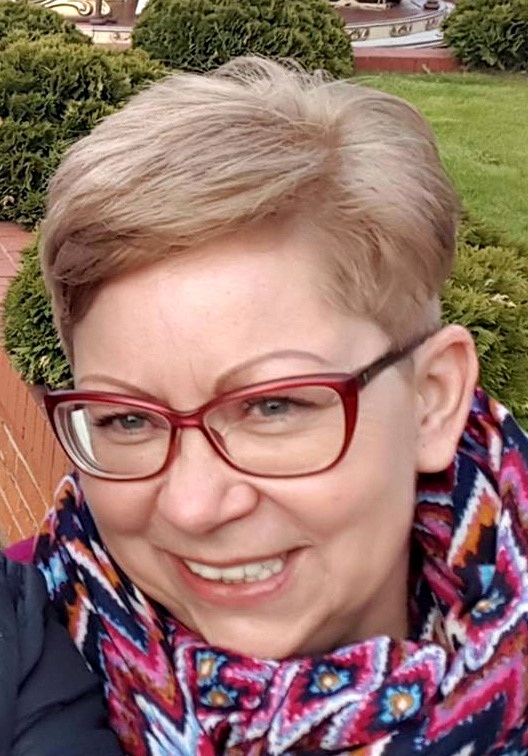 Fifty-eight, retired widow, mum of two grown up boys and a happy grandma. 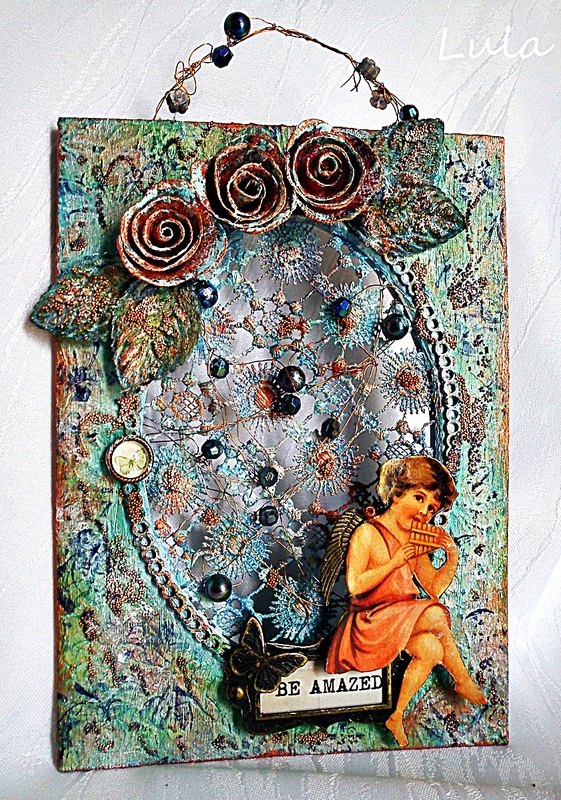 I started my crafting journey 5 years ago as a card maker and immediately became an addicted paper-lover. 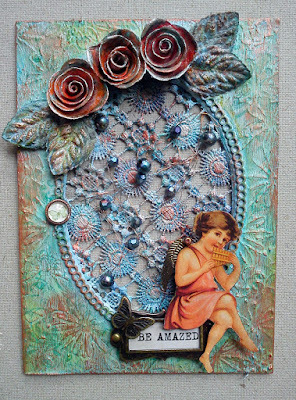 I enjoy creating anything from cards to altered art. I'm very keen on experimenting with various types of mediums. 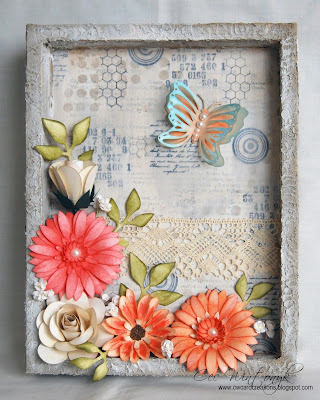 Recycling is also very close to my heart and I just love using ordinary items in my projects. 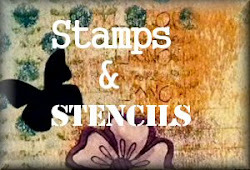 I am thrilled to have been invited to guest design for Stamps and Stencils. Thanks bunches Ladies for this wonderful opportunity! 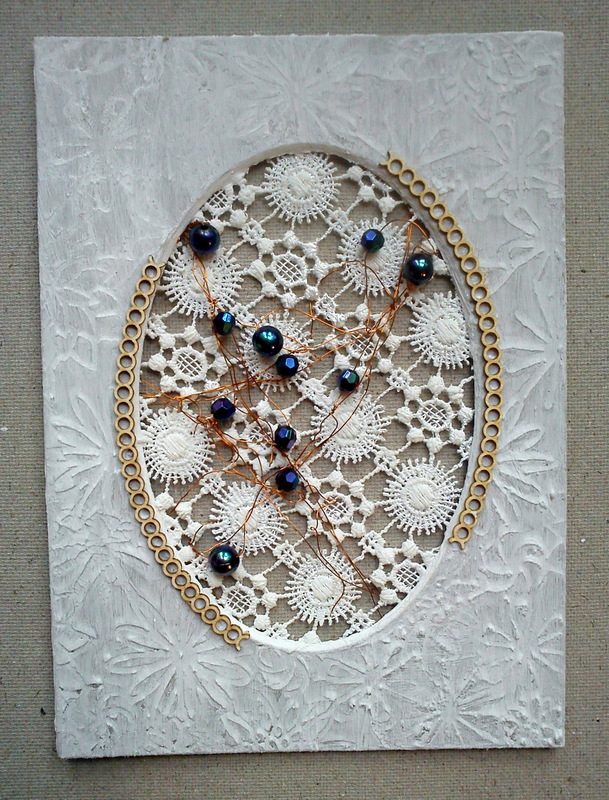 I was inspired by two things from the moodboard: lace and metal parts. 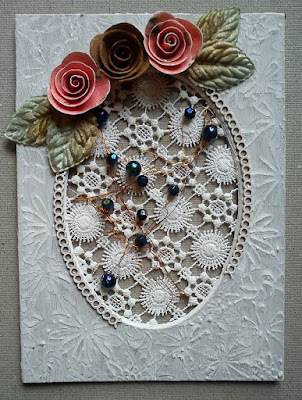 My starting point for this project was an oval passepartout which I filled with some lace. Next some texture paste was stenciled on the surface. 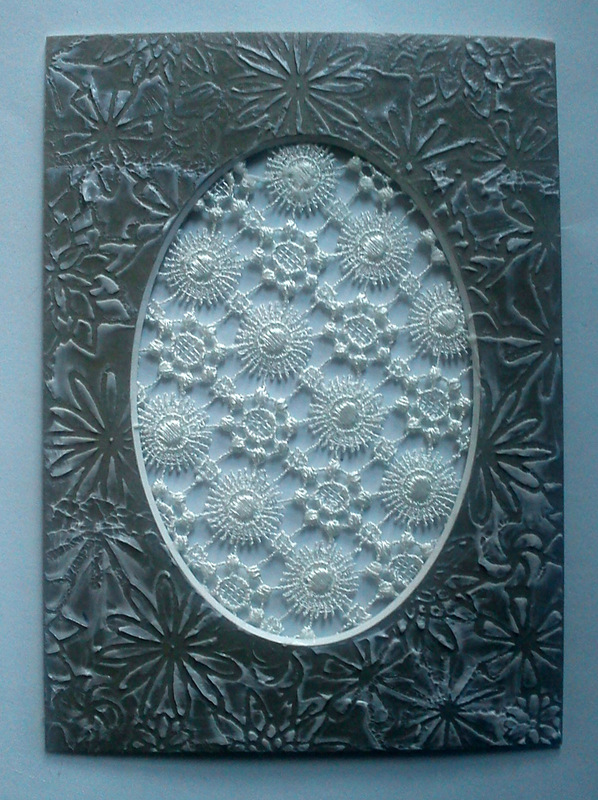 When it was dry I covered all with white gesso. 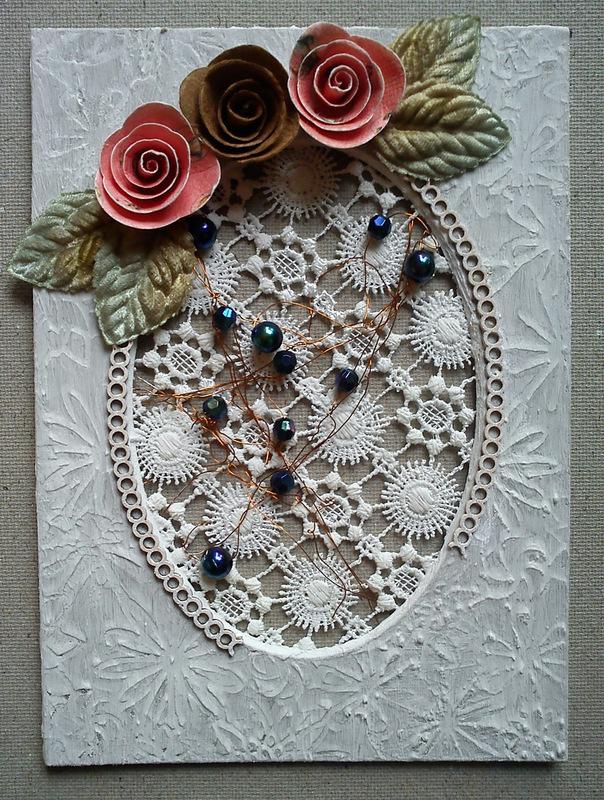 I mounted some wire with beads on it, some chipboard elements, flowers and leaves. Then I started to colour the piece with Gelatos and Tattered Angels Glimmer Mists. 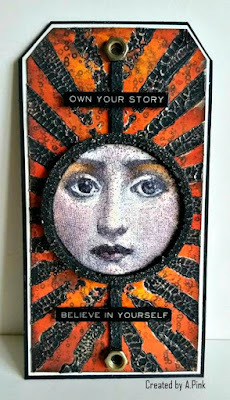 I also rubbed some Metallic Gilding Wax to the background, mounted a small button and a metal frame with a sentiment. 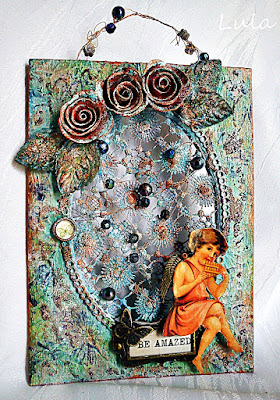 A playing angel's image completed my work. 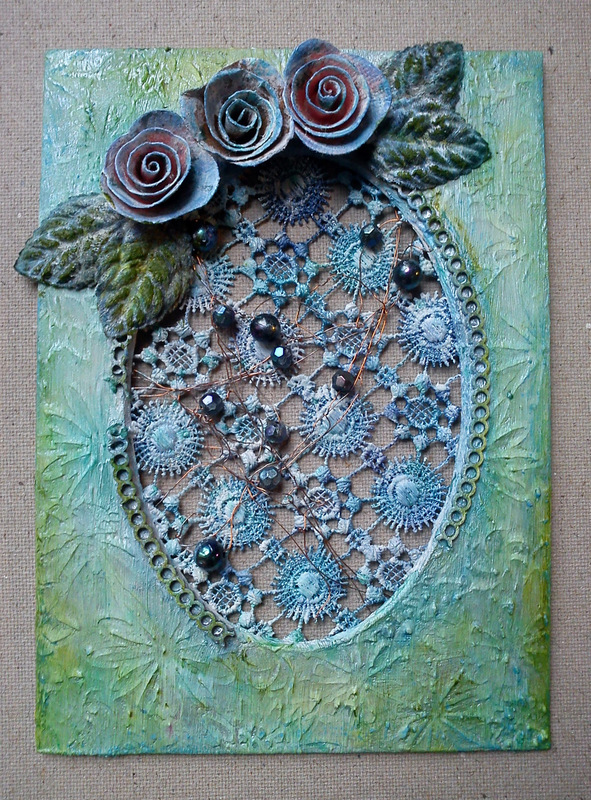 To finish off I decided to give more interest to the background by strewing some microbeads and doing some stamping. I needed another passepartout and some wire to complete my hanger. 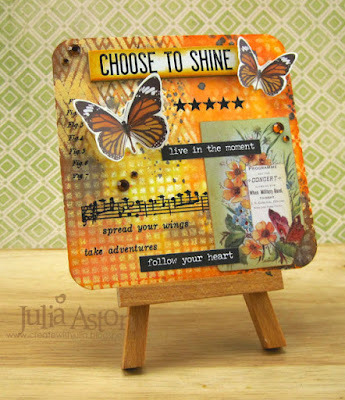 Thank you so much Lula for your beautiful project ! If you would like to join us for the current challenge of Colour, Texture, Shape you have plenty of time ! Hi everybody ! 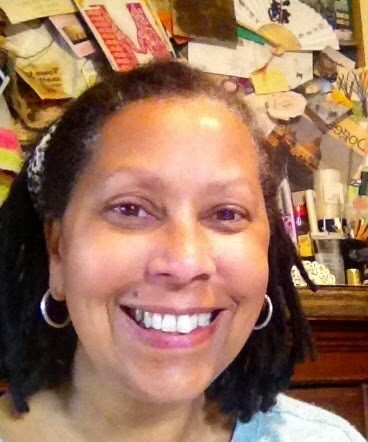 It's Toni here and I'm quite excited about the project I'd like to share with you today. I don't know about you but I am forever trying out new ways of storing my stamps. I've tried plastic boxes, draw trays, ring binders, the list goes on and on and so far I've never really found the perfect storage solution. After this project I think I may be getting a little closer. Pull up chair, make a cuppa and I'll show you what I've been up to. I also punched two holes along the top edge, to correspond with the rings in the ring binder. I used six sheets altogether. 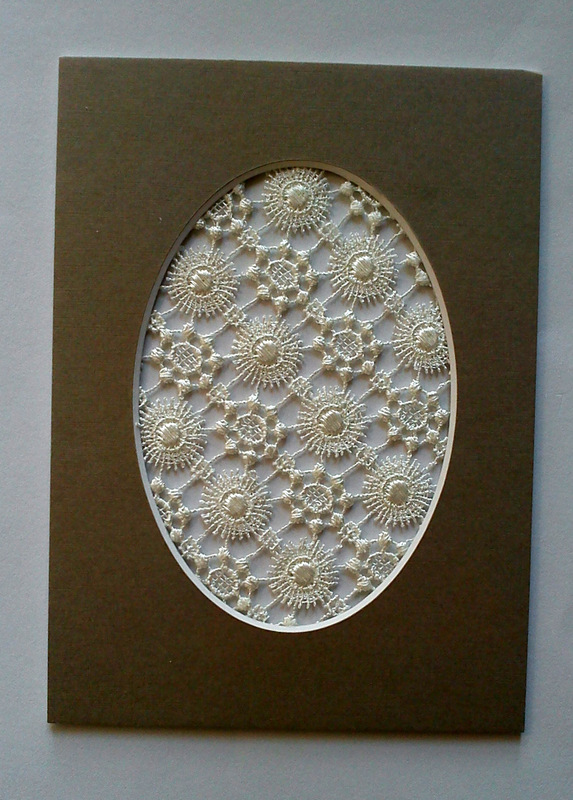 I also cut twelve sheets of acetate to the same size and punched holes in them. I put all of these to one side, and returned to the ring binder. I wasn't too sure what to do with the inside. I wanted to keep it plain but the surface was a bit rough, so I knew I had to cover it with paper rather than just paint it. I decided to use some scrunched up black tissue paper. I think this is effective because, although plain in colour the 'wrinkles' provide an interesting textured surface. 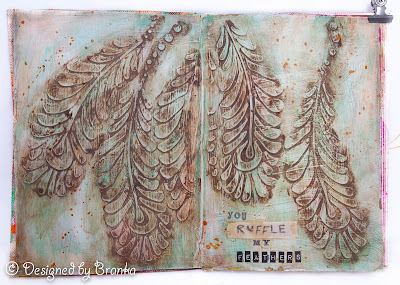 I applied a liberal coating of Mod Podge on the inside cover, layered the tissue onto the surface and then painted more Mod Podge over the tissue. Congratulations Beatriz ! We loved the layers of texture and the gorgeous photo taking centre stage. 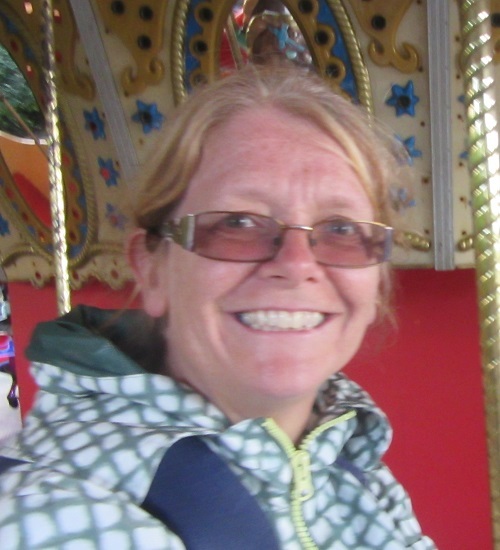 Please email carringtons22@yahoo.co.uk for your winners badge and details of your guest post. 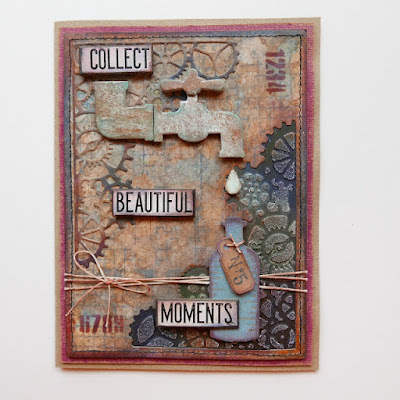 The current challenge is Colour, Texture, Shape and you've still got plenty of time to share your projects with us. 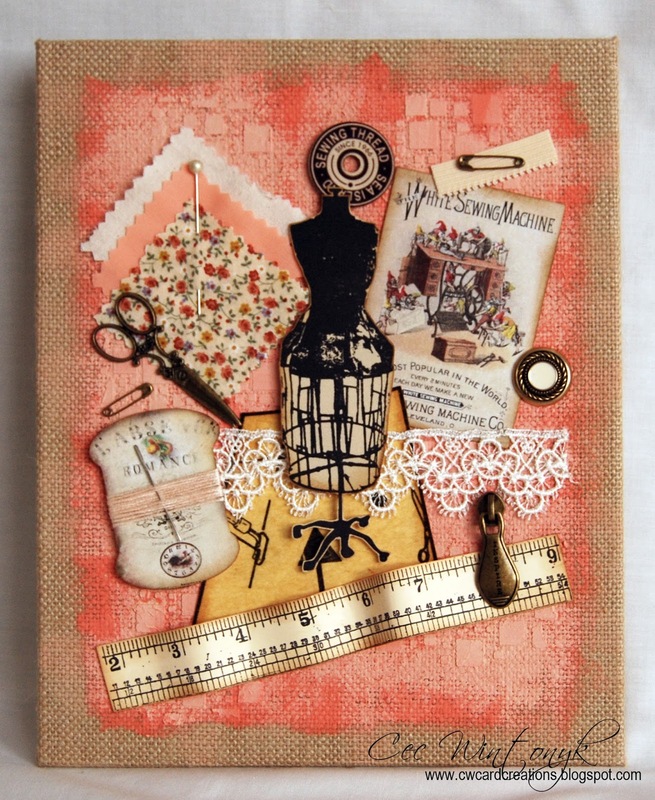 Hi everyone, Ruth here as the host for this months challenge and for July I have a picture inspiration board for you! 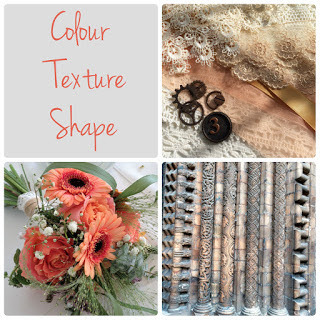 These photos are from my own collection and I'm hoping there's something among this mix that inspires you, whether it's the colour or shape or texture.....maybe it's the colours ranging from cream and peach through to gold, warm browns and soft greens or maybe you want to choose different colours and include fabric, lace or metal in your creation. 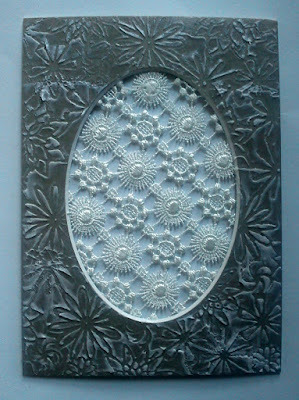 As for shape, what about flowers, leaves and architecture or the design elements that are gothic, steampunk or romantic? Whether you're inspired by one or all of the pictures, please share your mixed media creations with us, the only restriction - you must use a stamp or stencil somewhere in your project. Can't wait to see what you create but first here's some fantastic work from the design team to hopefully inspire you! Now it's over to you and you have until 20.00 UK time on 2nd August to share your creations with us.